CCTV & Security - Local & National Electrician, Electrical Contractor, Electrician In - Stirling, Alloa, Falkirk, Glasgow, Edinburgh, Scotland. 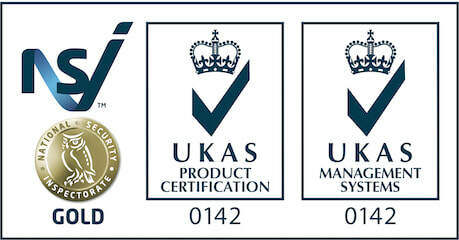 Domestic and Commercial premises need protected from theft and vandalism. That is a sad fact of life today. But there are many steps you can take though to protect your premises from these problems and two of them are Security Alarms and Closed Circuit Television(CCTV). 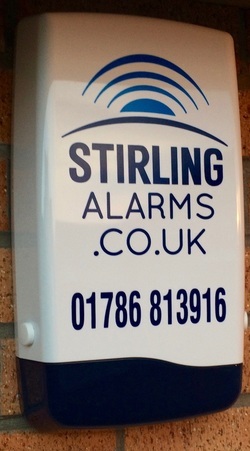 Stirling Alarms install and maintain many different types of wireless and hard-wired security alarms. Security Alarms installations will vary in price depending on the type of premises needing protected and any extra security features which are added to the basic security alarm system. Basic systems include internal panel with built in or remote code keypads, motion detectors, window and door contacts, break glass detectors and external sounder, but with the addition of an internal sounder, auto telephone dialler (to family and friends) and smoke and heat detectors, it does not take long to build up a comprehensive security alarm system and most importantly at an affordable price for good quality alarm products. Closed Circuit Television Cameras are everywhere these days, in shops, in offices, in the street you walk down everyday, in sports grounds and now even in homes. And used correctly, your CCTV can be designed and installed to protect and monitor your premises around the clock. Today's CCTV products are very sophisticated, with some products very small and discreet. CCTV systems can be designed to suit the requirements of customers needs and Stirling Electrical Services Ltd. would be delighted to offer our services to meet and discuss with potential CCTV customers. CCTV instillations can be very basic to full auto-motion and zoom systems, and even wireless systems. Other security products that Stirling Electrical Services Ltd. install and maintain, are door entry and access systems, gate automation, public address and security lighting.